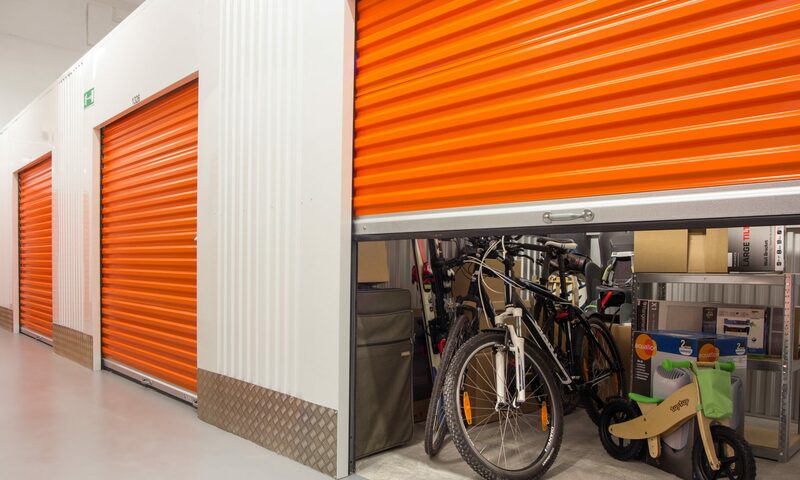 As an enthusiastic storage auction hunter, you might have everything in place that you need: your equipment ready, your large vehicle or trailer prepped and your spending cash in pocket, and still not be able to turn a profit at local storage auctions. Why? Because sometimes it can be hard to find out when the next storage auction near you is going to occur! Unfortunately, there are no authoritative databases up and running yet that can list every single storage auction in a given place, though we are working to bring you updated storage alerts for your area. In the meantime, here are some tips for keeping abreast of the storage auctions near you so you can always get the drop on the best units and not be left out in the cold. Most every state’s lien law, as pertains to self storage locker sales, stipulates that the company selling a unit via public auction must make repeated and well-publicized attempts to contact the concerned party whose belongings are going to auction. Most of the times, this means carefully post-marking and retaining copies of all the lien letters and final auction warnings that were sent to the late tenant, but it also usually involves “a newspaper of popular circulation”. This means that if you can find the legal section or public notice section in your local paper, you can find all upcoming storage auctions there. Some self storage facilities will list their auctions a full week before the sale, whereas some others only adhere to the minimum two days notice prior to the auction date. Either way, checking the paper, either online or in hardcopy, can often be your best bet for tracking down auction dates. This is your best bet (and even better than calling around to different facilities) because oftentimes the particulars of an account that is merely at risk of going to an auction can change before the final notice of sale is published. However, once you see an auction date in the paper, you can be confident that the property manager was sure enough of the sale proceeding that they decided to go ahead and spend the money to have the notice published. This means it’s almost certain you’ll see the listed auction units at the facility by the time you show up. Sometimes facilities will include basic descriptions of the items inside an auction unit in their newspaper listing, though you should not at all rely on these as property managers are often in a hurry to complete their inventories of auction units and won’t be taking the time, or spending the extra publishing money, to give a complete and accurate list of the contents of a given auction locker. Nevermind this, because the true gems and treasures inside storage auction sheds are always hidden and wouldn’t have been found by the property managers themselves anyway. Of course, that’s not to say that they’ll actually bother to call you up or track you down once the real auction day approaches. While some storage facilities appreciate that having more auction buyers come to their sales usually means more overall revenue for their company, others simply cannot be bothered to call around a long list of strangers and non-tenants, especially as auction day approaches and they become busy making sure to cross every last T when it comes to legal proceedings and a lawful sale. Essentially, it’s up to you if you want to bother calling around the different storage facilities near you to ask if they have any upcoming auctions or if they will call you back out of the kindness of their hearts once the big day approaches. Many will flatly state “No” when you ask if they’ve got any units up on the chopping block and others will simply be puzzled if you inquire about a do-call list. Your best bet is to meet the property managers when they have a newspaper-publicized auction and do your best to be friendly and genial and then ask them offhandedly if they happen to have a do-call list you could get on before their future sales. Most storage facilities place these out on the main roads or side streets leading up to their property on the day of the sale, in order to help people reach their auction without getting lost. However, if you ever see any of these hanging out in a section of your town that is well-populated by storage facilities, chances are that more than one facility is having their sale that day. For one thing, companies with multiple facilities in one area like to hold their sales all on the same day, so that their employees and property managers can coordinate up to and during the actual sale. This also allows them to schedule their auctioneer for one convenient time, and they’ll often stagger their facilities’ start times, so that the action begins at one facility, then moves to the next, and then moves to the last. The benefit of doing this within one company with many locations is that bidders need only sign-up and register once at the first facility, but can then bid on as many units as they’d like throughout all of the properties. Don’t Know if You’ve Got Storage Near You? One of the best resources for finding local storage companies (good enough that even other professional companies use it to find each other) is Sparefoot.com. Simply place your zipcode in the first box you see after loading the page and you’ll get an easy to read map with all the storage facilities near you. This way, you at least have an idea of the resources around you so you can begin to decide how best to approach the auctions in your area. Next PostNext Is it Really Possible to Make Money Off Storage Auctions?